US-backed self-declared "Interim President" Juan Guaido has been barred from holding public office in Venezuela for 15 years by the Maduro government, Reuters reports, citing Caracas officials. Venezuelan state comptroller Elvis Amoroso in public statements on Thursday said it was the maximum punishment allowable by law, and charged that Guaido had "inconsistencies in his personal financial disclosures and a spending record that did not match his level of income," according to Reuters. After the shock announcement it remained unclear what this means in terms of Guaido's immediate fate as majority leader of the National Assembly. Crucially Guaido's being banned from public office came less than 24 hours after the opposition leader announced plans for his supporters to launch "tactical actions" starting next week as part of his "Operation Freedom" to overthrow President Nicolas Maduro. He began publicly referencing the plan earlier this month at opposition rallies and described it as a "full-fledged revolution in all states of Venezuela simultaneously." This has even included talk of "Operation Freedom" operatives and mass protesters ultimately marching on the Miraflores presidential palace – home to President Maduro. 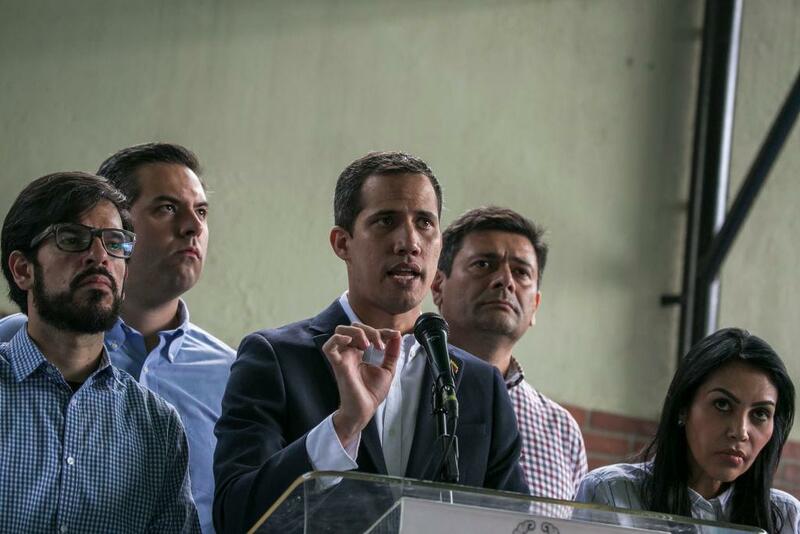 Tweeting with the hashtag #VamosOperaciónLibertad, Guaido further appealed to "constitutional forces" within the Venezuelan army to rise up and switch loyalties. Washington's very overt promotion of Guaido as "legitimate" leader of Venezuela has resulted in threats from Maduro himself to have Guaido arrested. White House efforts to ramp up pressure on Maduro included hosting a delegation headed by Guaido's wife, Fabiana Rosales, at the White House on Thursday. Notably the White House called Rosales "Venezuela's new Interim First Lady" in statements related to the event. No doubt, Caracas is now sending its own firm message in banning Guaido for public office for 15 years, something sure to result in a swift US reaction.